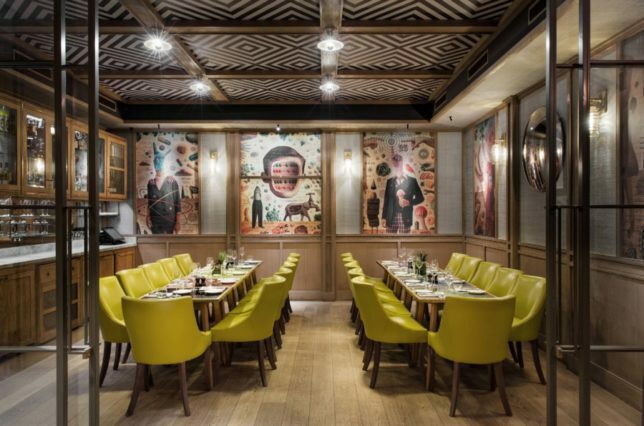 Percy & Founders is a stylish bar & restaurant in the heart of London’s Fitzrovia serving modern British and European dishes all day every day. 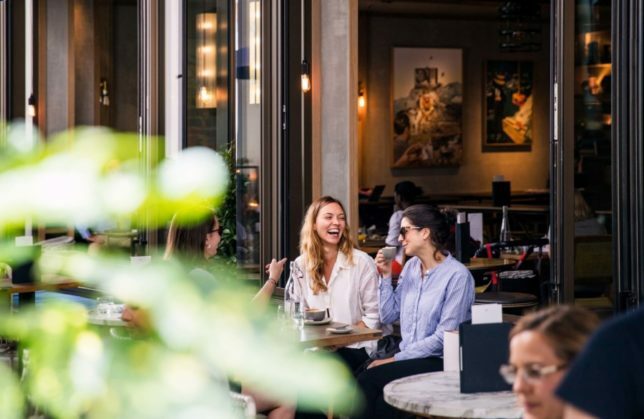 The ideal social drinking & dining destination for discerning Londoners, it offers everything from a quick morning coffee and pit-stop working lunch to after-work cocktails, drawn-out dinners and boozy weekend brunches. The name Percy & Founders is inspired by the Duke of Northumberland, Hugh Percy, and the group of philanthropists who founded the Middlesex Hospital in 1755. 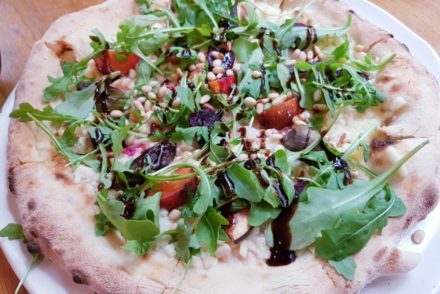 Percy & Founders is situated at the junction of Mortimer Street and Berners Street, within the new Fitzroy Place development occupying the site of the former Middlesex Hospital. 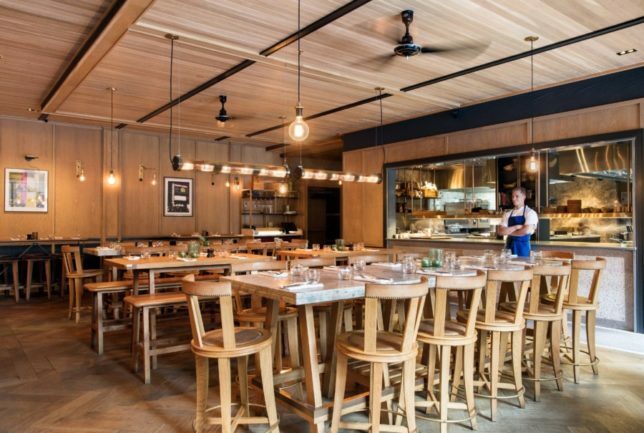 The venue accommodates 200 covers spread across a series of individual spaces as well as an outside summer garden terrace seating 73. A series of different spaces including Percy’s Den, cater for all eventualities, be it a private function or breakfast meeting. 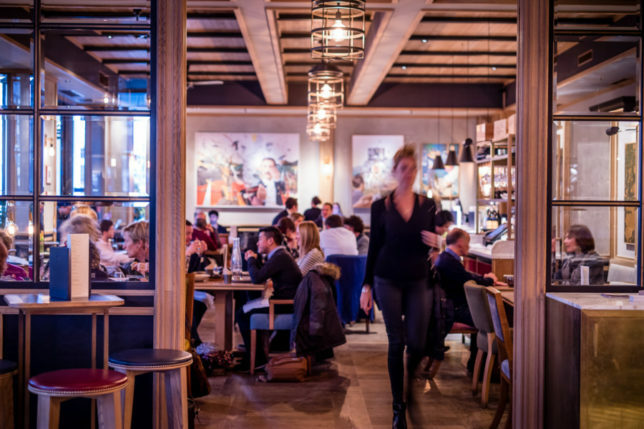 Setting a new standard for event spaces, Percy & Founders has a range of social dining areas which can be booked for everything from business meetings to private celebrations. 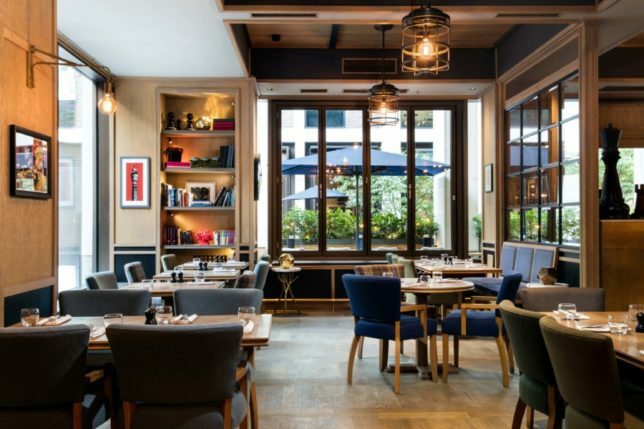 The Banquette is perfectly suited for a relaxed lunch or private dinner; The Reading Room is a semi-private space which can be used for dinner, drinks or canapés for those wanting to still enjoy the surrounding buzz of the main restaurant. At the heart of Percy & Founders, The Dining Room offers stunning views into the Fitzrovia Chapel and is ideal for a large private dinner or drinks reception; whilst the long marble topped Kitchen Tables are a fun and dynamic option for a group of friends or family event, with a chance to watch the chefs hard at work. Last but not least, the brand private dining space, Percy’s Den, comes with a fully stocked bar, pull out drinks trolley, high speed Wi-Fi, 60” HD TV and Apple TV, Mac mini and Bose sound system, making it a winning option for everything from business breakfasts, corporate presentations and private parties. 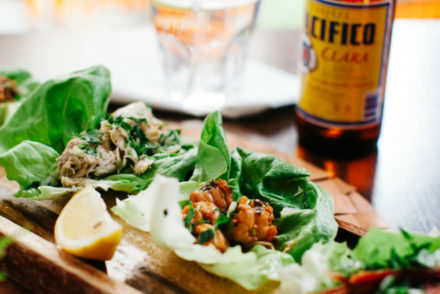 The drinks list offers affordable, quality pairing wines from small grower labels, alongside established producers, served by the glass, carafe and bottle – as well as cocktails, mocktails, bottled craft and draft beers. Signature cocktails such as the Lady Percy martini or the New Old Fashioned, are ideally taken on in the elegant bar or alfresco on the covered terrace. 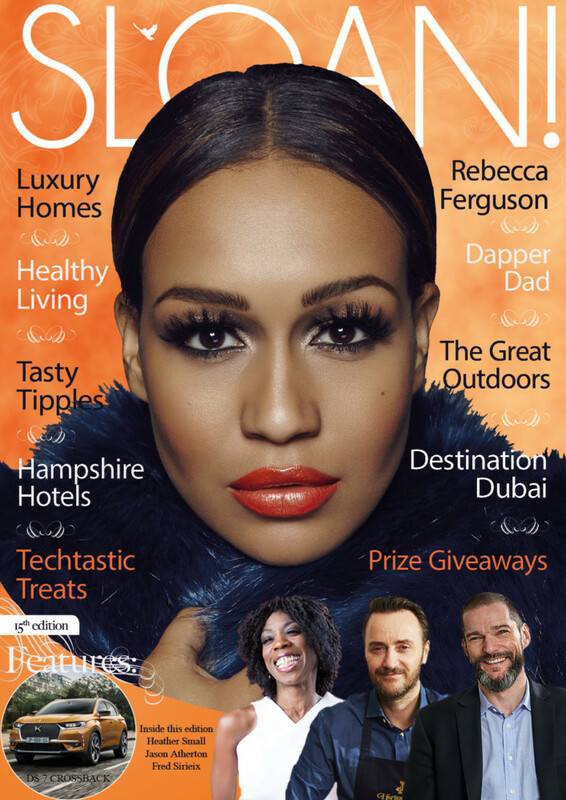 When it comes to the food offering, the seasonally changing all-day dining menu showcases simple British and modern European fare. 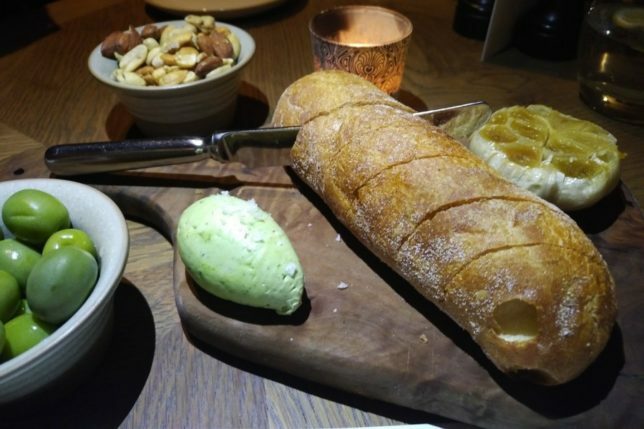 For a prelude of the decadent dining to come, we highly recommend you set aside any carb hate and enjoy some delicious home-made bread served with soft herb butter and mellow roasted garlic. For those following the low carb lifestyle, the green olives and mixed nuts are tasty alternatives to nibble on. 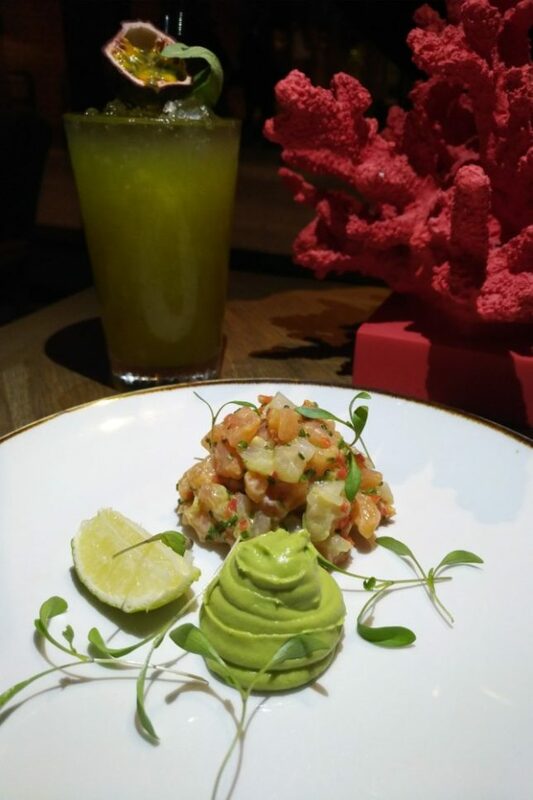 On the menu are superb starters such as the Salmon & Bream Tartare served with avocado cream, cucumber & coriander. 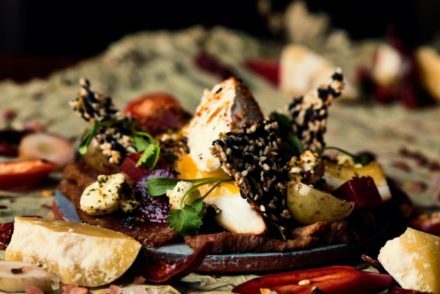 We loved the fresh flavours and subtle textures of this dish which pairs perfectly with the non-alcoholic Basilica cocktail made with passion fruit, apple juice, lime and basil syrup. 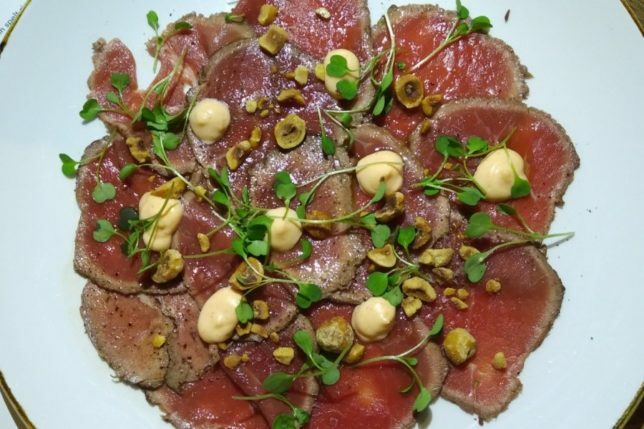 Equally delicious and visually appealing is the Beef Carpaccio served with shallots, hazelnuts, smoked chilli & lime mayo. The crunchy texture of the chopped nuts and the spicy flavours of the fiery mayo sit perfectly alongside the tender thinly sliced beef. 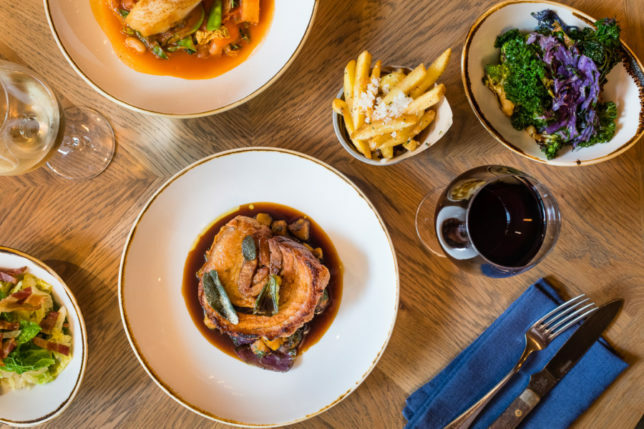 Joining the starters on the autumn menu are some marvellous main courses such as Grilled swordfish, fennel purée & salad, capers, croutons, orange vinaigrette; and Saddleback pork belly, charred apple purée, heritage carrots & crackling. 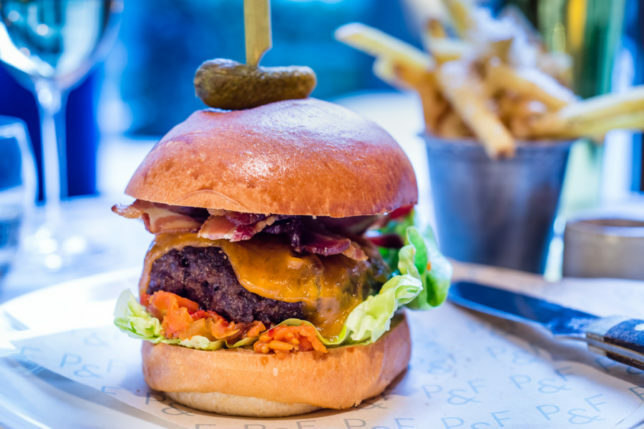 Those wanting to keep things classic will love Percy & Founders’ Cumbrian native breed beef burger, tomato relish, melted cheese, crispy bacon & Bloody Mary ketchup. 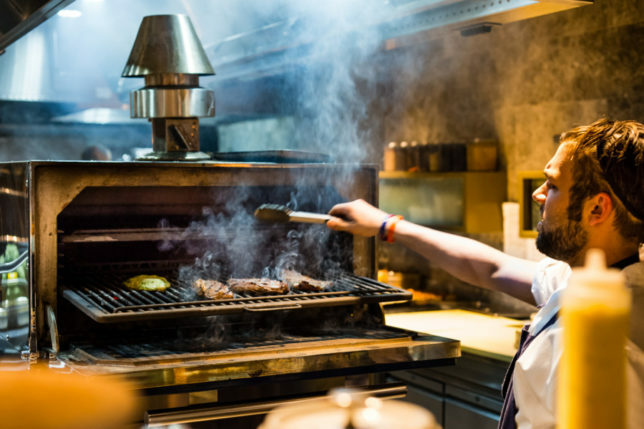 For the dedicated carnivore, there is a tantilising choice of delicious charred cuts of meat from the sizzling Josper Grill. 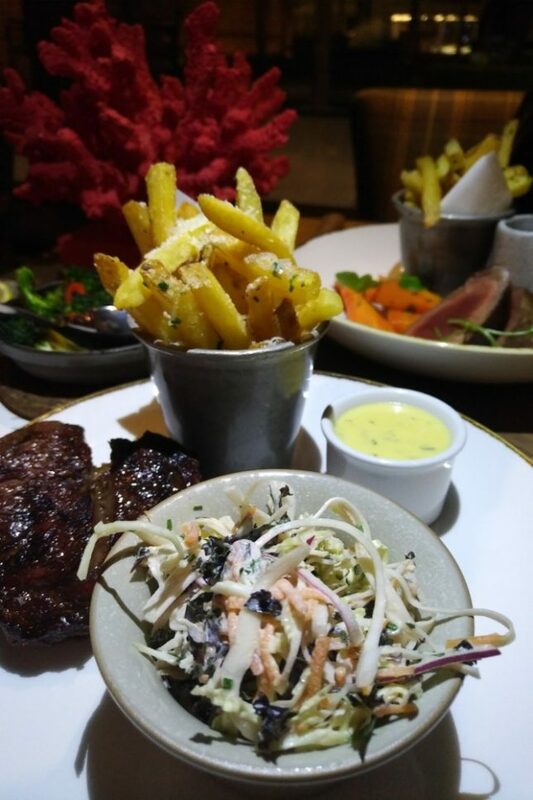 One of our Josper Grill favourites is the dry aged Aberdeen Angus 250g rib eye which we enjoyed served with Béarnaise sauce and Skin-on-fries dressed with truffle oil & parmesan. Like a good blue cheese sauce, the robust aroma from the parmesan goes so well with the meaty flavours of the steak with added freshness from the side serving of crunchy slaw. 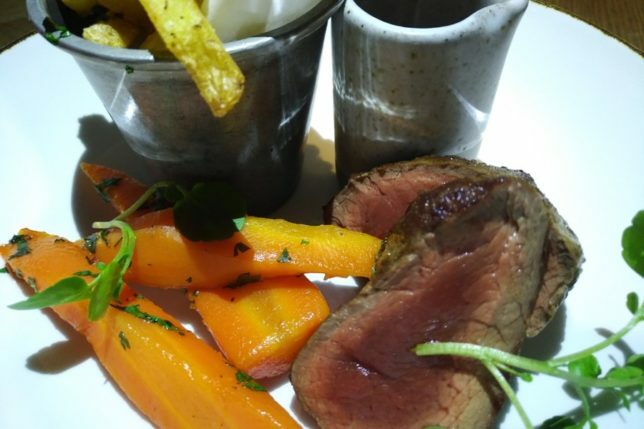 Another perfect mains dish for the winter season is the Venison loin served with potato mash, glazed carrots & juniper jus. The tasty gamey venison is cooked to medium rare perfection and the mouthwatering flavours of the meat are brought out by the herbacious aroma of the juniper jus. 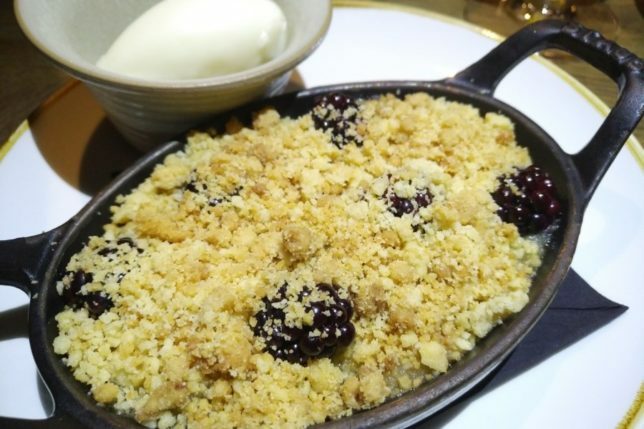 Decadent puddings include the apple & blackberry crumble with vanilla custard. This hearty winter dish has a delicious crumble topping studded with fresh whole blackberries on top of a fruity filling of seasonal apples and juicy berries. To ring the changes why not try this dessert served with lime sorbet instead of custard to brighten the flavours with a zesty zing. For chocolate fans, we highly recommend the warm chocolate & walnut brownie, salted caramel sauce & vanilla ice cream. 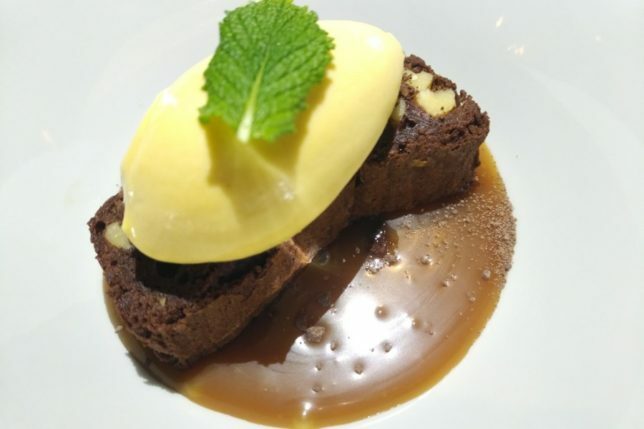 It definitely looks as good as it tastes and the melting vanilla ice cream blends with the salty caramel and fudgy brownie for that perfect contrast of sweet and salty flavours that chefs love on the dessert plate. 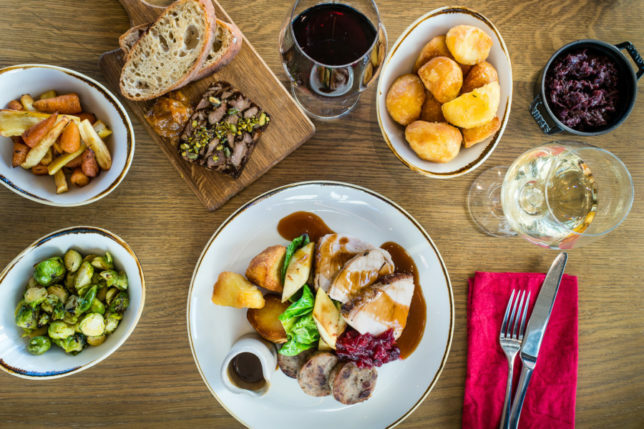 For those looking for a superlative Christmas party menu for work or social gatherings during the festive season, look no further than Percy & Founders with delicious startes such as Duck leg pâté with port jelly, spiced chutney & toasted bread served alongside a choice of crowd-pleasing festive mains including Roast free range turkey breast and confit leg with cranberry compote, bacon & pork stuffing and all the roasted trimmings you know and love. 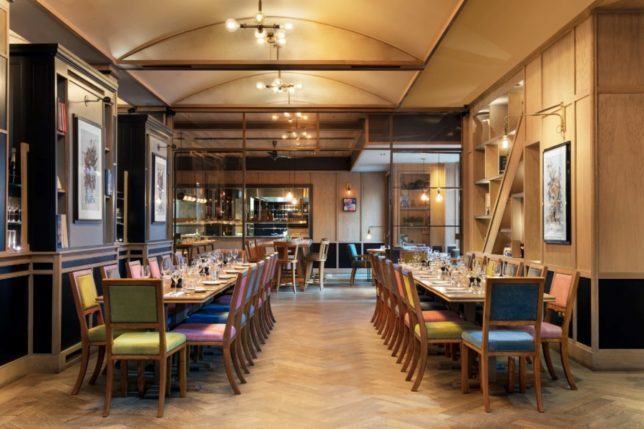 Percy & Founders was the first opening from Open House London whose other properties include The Larder Café, Store & Wine Bar also in Fitzrovia, and The Lighterman in King’s Cross.